Suzanne Wingate began her training in the physical arts with ballet at the age of five. She studied ballet intensively through adolescence, college, and beyond. After receiving her dance degree from Butler University, she danced with the Kalamazoo Ballet Company and attended graduate school. After moving to Lansing in 1976, she taught at Lansing Community College and Michigan State, as well as her private studio for seven years. In the 1970’s, Suzanne began self-educating in yoga philosophy and hatha yoga. For the last twenty-five years, she has studied with master teachers of yoga philosophy, hatha, and ashtanga. Her mentors include Aadil Palkhivala, Richard Freeman,T.K.V. Desikachar, Beryl Bender-Birch, Don Stapleton, Paul Grilley, Amrit Desai, Hari Zandler, Tim Miller, Manouso Manos, Rama Jyoti Vernon, Roger Eischens, Kausthub Desikachar, Ken Scott, Sushil Muni, Swami Kripalu, and the swamis of the Ramakrishna Order. Suzanne has taught hatha yoga since 1980. Her initial teacher certification training was received in 1981 from the Kripalu Yoga Retreat in Pennsylvania. 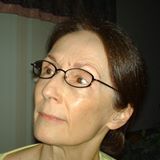 She also taught hatha yoga, ballet, and modern dance for Olivet College in the later 1990’s. For the last twenty years, Suzanne has focused her teaching mainly in the East Lansing area. Suzanne Wingate began her training in ballet at the age of five. Her most constant teacher during childhood and adolescence was Virgiline Simmons, under whose guidance she completed several graded levels of the Cecchetti Method. Each summer Suzanne trained with the national Cecchetti Ballet Conference. She also danced with the Lansing Festival Ballet Company. Upon high school graduation, Suzanne entered the legendary dance program at Butler University. She danced with the Butler Ballet, choreographed the dedication piece for the original LOVE sculpture, and graduated with her B.A. in Dance in 1973. Moving to Kalamazoo in 1973, Suzanne joined the Kalamazoo Ballet Company, performing as a soloist in the Mid-States Regional Ballet Festival. In the mid-70’s, she attended graduate school and trained in ballet with Rocky Spoelstra of Ballet West. Moving to the Lansing area in 1976, Suzanne opened a private ballet studio, which she ran for seven years. She also taught ballet and modern dance for Lansing Community College, Modern Dance Workshop, and ballet for Michigan State University. Serving as a dance consultant for Eaton ISD, she offered in-service training for classroom teachers, co-authored a resource manual for integrating arts into school curriculum, and taught dance in five school districts. Throughout the 1970’s, Suzanne took part in many professional conferences and dance residencies around Michigan. She also traveled to further her training in professional studios in New York and Chicago. From 1979 onward, Suzanne began dividing her time between her usual dance activities and the pursuit of serious yoga training. This dual commitment to ballet and yoga has continued to the present day. After a six-year leave from teaching to raise her son, Suzanne returned gradually to the momentum of her previous teaching life. Most of her classes for the next twelve years were sponsored by the ELRA program in East Lansing. In the later 1990’s, Suzanne taught ballet, modern dance, and hatha yoga for Olivet College.